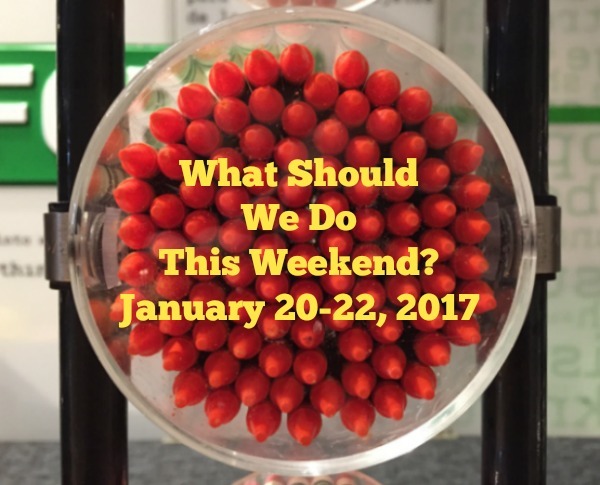 vertical adventures Archives | What Should We Do Today? Parents can have the opportunity to speak with a Speech Language Pathologist from Columbus Speech and Hearing about speech and language development while your kids play! Get ideas for how you can support your child’s speech development at home! No registration needed. See the fun, musical performance of Goldilocks and the Three Bears at one of 5 shows this weekend! Tickets can be bought online. This sensory-friendly performance of Snow White features lower volume, more light and other sensory-friendly adjustments. Tickets are selling fast for Snow White, so make sure to get yours ASAP if interested! Time: beginning at 4:00 PM on Friday and all day Saturday until cupcakes have run out! Free Cupcake Day means exactly that! Choose between 4 flavors, one per person! Kids ages 5 to 12 can make a special “Be Mine, Valentine!” arrangement! Time slots are available at 10 a.m. and 2 p.m. Registration is required by calling your nearest store: 3014 E. Broad St., Bexley, 614-237-8653; 2033 Stringtown Road, Grove City, 614-539-4000; and 8573 Owenfield Drive, Powell, 740-548-4082. In honor of National Puzzle Day, kids can play with puzzles and make their own puzzle! Must be in grades 3-5. Register online! Vertical Adventures is turning 23! Guests and members are welcome to celebrate with them with a golden ticket hunt, a kid zone, free clinics, swag and more! Kids ages 2-6 are welcome to this story time that includes music and movement! The Princess and Pirate Night with the Columbus Blue Jackets includes a pre-game skate with pirates and princesses, a craft and tickets to the Blue Jackets game against the Hurricanes! Also included in your ticket is a discount to Disney on Ice! See more details here. (Free) tickets are required to enter and are available 20 minutes before the movie. Kids ages 3 and up can make a free rocket craft this week at Lakeshore Learning! Kids can enjoy activities that help them explore what they want to be when they grow up including face painting, balloon art, crafts, games, dress up, photo booth and more! Celebrate the launch of Columbus Kids Do Good by making Valentine’s Day cards for the kids at Ronald McDonald House Charities of Central Ohio and packing lunch bags for the homeless! There will also be a playroom, hot chocolate bar and lots of fun for the whole family! ICYMI: You Need these 7 Columbus Memberships to Survive Winter!